H&H Carpets - What's Your Tile Type? If you’ve done any research on ceramic & porcelain tile, you’ve probably already found some very interesting facts. For instance, they are incredibly hard and dense; they’re durable enough to withstand a great deal of everyday wear and tear; and they are waterproof enough to be used right inside your shower stall. Those are some pretty impressive facts, it’s true, but there’s even more. Just let us tell you about it. At H&H Carpets, our commitment to 100% customer satisfaction shows through in every aspect of our family owned business. 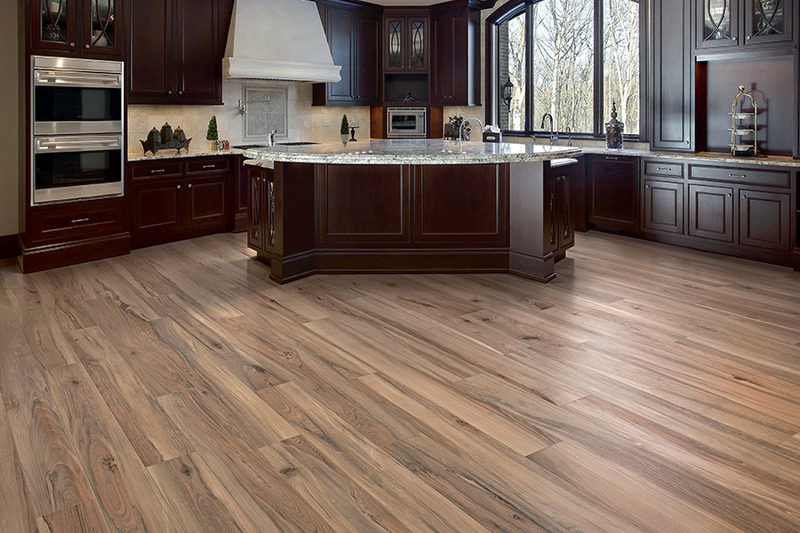 We can not only help you find a flooring that covers the bases of your every need, but we can also install that flooring for you. Furthermore, we are always available long after the install for professional cleanings, advice and so much more. 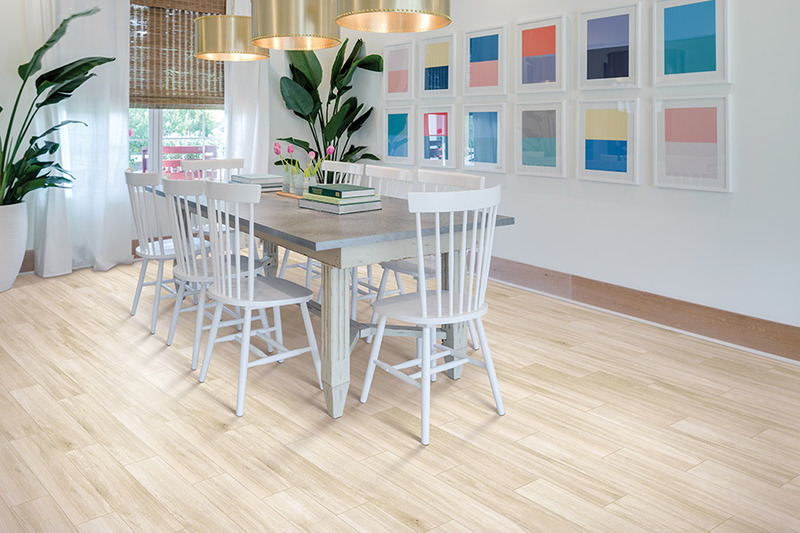 Make us your friend in the flooring business by stopping by our showroom in Warner Robins, GA. We service the areas of Warner Robins, Macon, Perry, Byron and Bonaire, and our flooring specialists will be happy to serve you too. 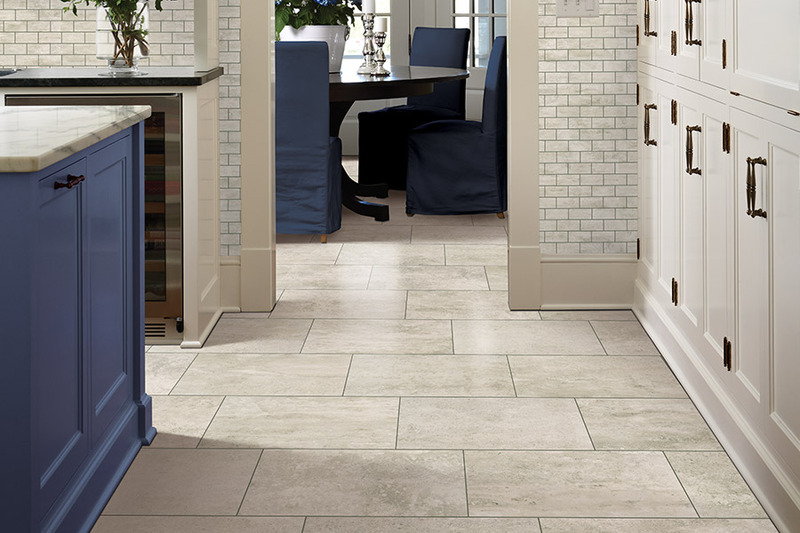 Did you know that tile is one of the oldest flooring materials ever to be used? Tile can be found in ancient home sites, and appears to even have been used to cover the floors of palaces and early cathedrals. If it has been around that long, and still widely preferred and used by homeowners today, it’s definitely worth another look, don’t you think? Of course, ceramic & porcelain are not the same product, although they are often spoken of as the same thing. 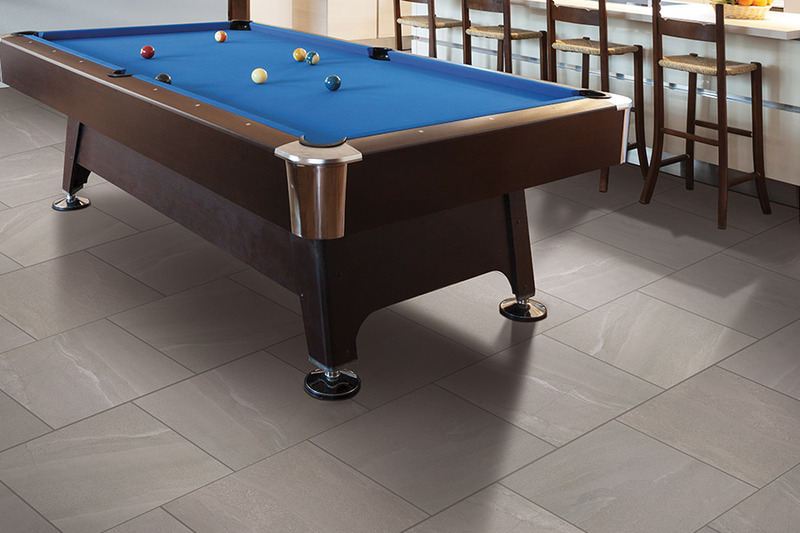 Porcelain uses only the highest grades of clay, offering the benefit of a uniform color scheme throughout the tile. Ceramic still uses clay, but different grades are often combined, which can cause color variations. That’s why ceramic is usually covered by colorful glazes. 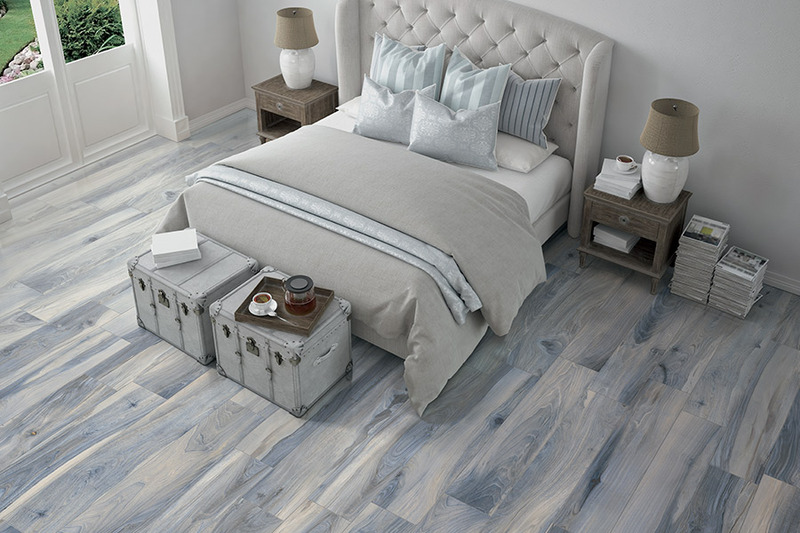 This makes it an excellent choice for anyone looking for a truly artistic floor covering to create that one of a kind, unique look. 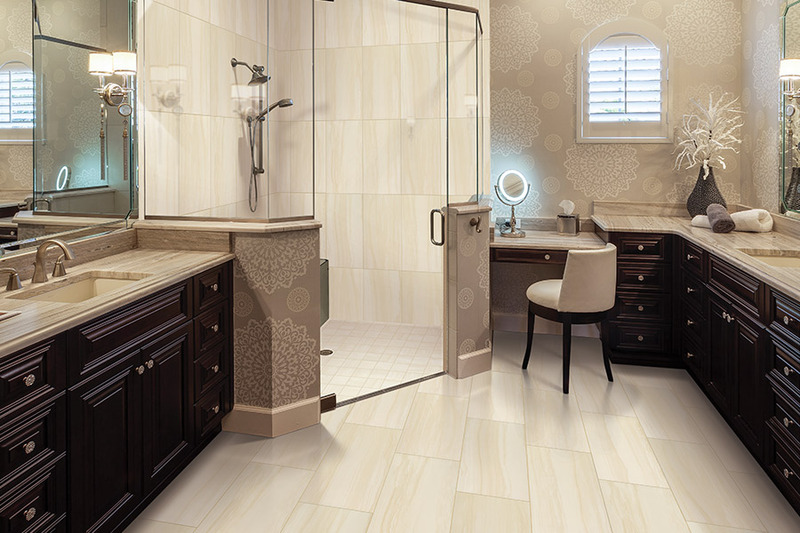 Most homeowners hear the word tile and automatically think about the bathroom. However, the truth is that ceramic & porcelain are right at home in any room or space. In the foyer, it can withstand the damp conditions from rainy or snowy days, or just a regular occurrence of work boots and pet traffic. 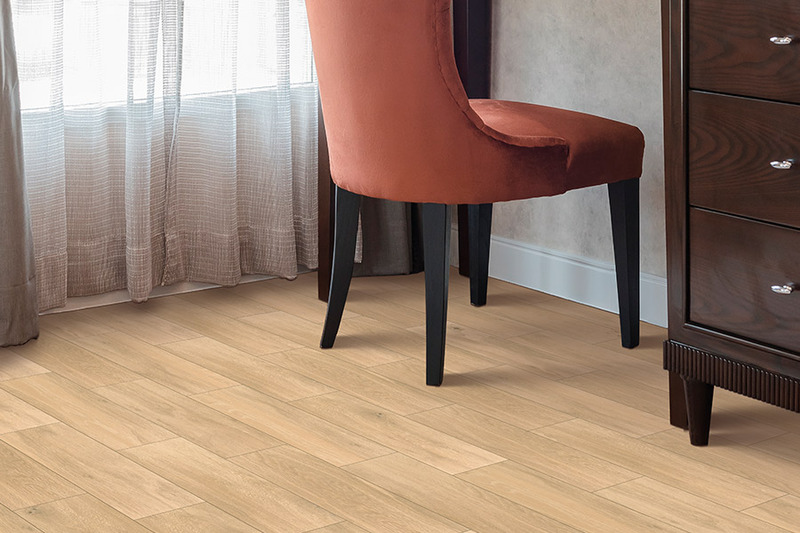 On the other hand, it makes a great floor covering for the living area, kitchen or even a bedroom, simply because it’s durable, and is so easy to clean.